Prep. Time: 5 min. | Cooking Time: 2 min. Lightly steam the tofu in a steamer pan and let it cool completely. In a high speed blender like a Vitamix, blend the tofu, black olives and salt. Add a little water to obtain the desired consistency. Spread on gluten-free crackers or bread. 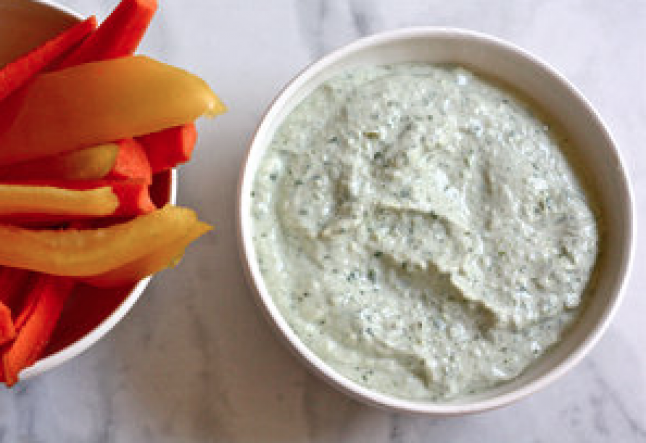 Alternatively, use as a dip with raw sliced vegetables such as cucumber and carrots.